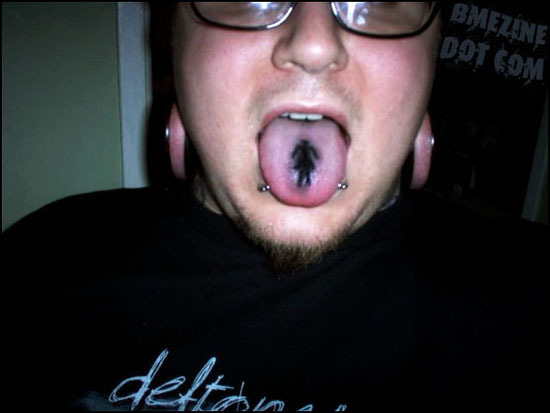 If eyeball tattoo is possible, then why not a tongue tattoo? Brave! But I am amazed, how nasty a man’s thought can get. This sign is made for ladiesâ bathroom at public places. And this fellow has tattooed it on his tongue (that too with double piercing on it). So, the meaning is anyone’s guess! I think he should stand at the theaters and airport to greet the hasty ladies. At least it will save their time. What a crazy idea! ← Chest tattoo of a broken-hearted lover!